Your home is made of sturdy stuff, but it does need a little extra help in winter. There are a few measures you can take to make you home more comfortable and reliable in the winter months. Some of these measures will take five minutes, if that, some a little longer, but all could save you time and expense further down the line. Chimney – Chimney fires are easily preventable, yet there are thousands of them in the UK every year. A clean chimney doesn’t catch fire, so before your get the fire lit, have your chimneys swept to minimise the risk. Check your smoke alarm and carbon monoxide detector regularly. Boiler – By making sure your boiler is checked before you demand a lot from it over the winter, you’ll lower the chances of either a very cold house or a potentially very expensive call out charge to fix it if it breaks down. 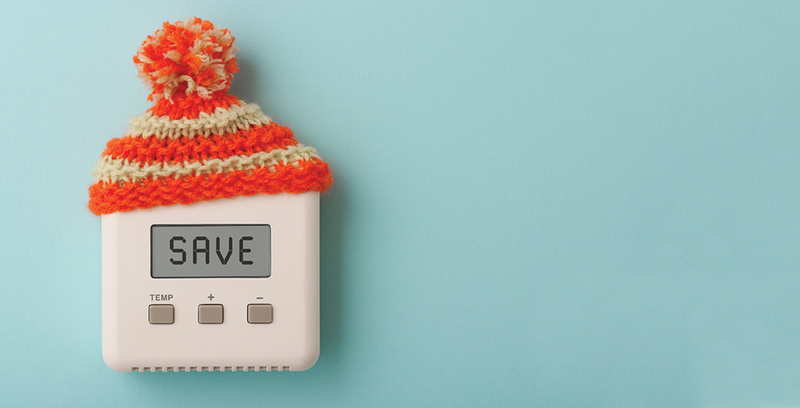 Pipes & Tanks – Leaving your heating on a low level will help prevent your pipes from freezing and potentially bursting. If you’re going away for a few days, keep your heating on a timer and your loft hatch ajar to prevent the pipes and water tanks above from freezing. A mix of salt and warm water can make short work of a frozen drain. Paths – Wet leaves and ice turn a simple route to your front door into one fraught with slip hazards. Keep a shovel by your front door to free up your path of leaves and snow, and scatter cat litter to clear any ice. Unlike salt, it won’t kill your plants. Taps – You can’t protect external taps with your central heating, but you can lag them to prevent them from freezing and bursting. Ponds – If you’re expecting a freeze, put a tennis ball in your fish pond beforehand. When the surface is frozen, take the tennis ball out to let oxygen into the water. Trees – Autumn and winter are good times to trim back trees when most are free of leaves. Low hanging branches could present a hazard in a storm. Roof – Check your roof for broken or cracked tiles to ensure that none come loose during strong winds and to keep any rain or snow from coming in. Aerials – Likewise, an aerial or satellite dish that’s not well secured to your property has more chance of coming loose and causing damage during a storm so make sure this is tightly fixed. Secure your TV aerial or dish before the cold weather really starts to bite, so it’s less likely to come loose in a storm or heavy snowfall. Gutters – Clear your gutters of leaves so they don’t become blocked. Keeping on top of this can prevent them from overflowing. Security – Longer nights give criminals more opportunity to operate under darkness. Check that your outside lights are working and gates and fences are solid and secure. Storm damage, boiler breakdown, home emergencies, and public liability – so if someone slips on your pathway or a branch from your tree falls on your neighbour’s car, you’re covered. Normally anything that has occurred through poor maintenance, such as unblocked gutters that subsequently cause water damage to the building.